1/2 cup besan (Bengal gram flour). Place gram flour, salt and baking powder in a bowl and add enough water to make a smooth batter. Beat it up well, to trap as much air as possible. This will make boondies lighter. Heat the oil in a karahi. 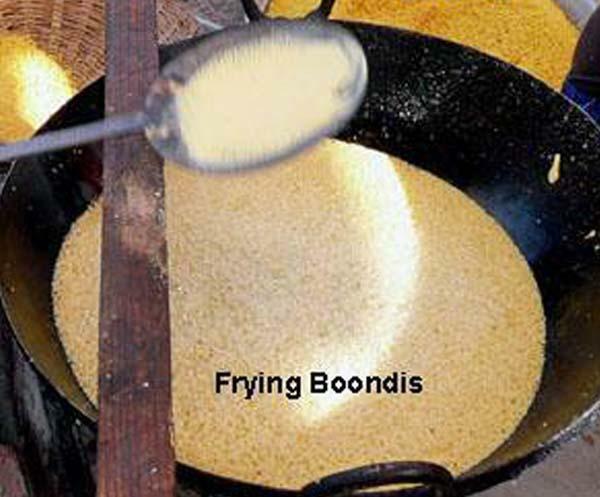 Pour 2-3 tablespoons of the batter at a time through a boondi spoon or jhari/jhara (this is a large slotted spoon, with round holes**), into the centre of the hot oil. While doing this, hold the spoon only 3 to 4 inches above the oil, to avoid splashing hot oil on yourself. Fry boondies on medium heat, turning frequently. They should be light golden colour when done. 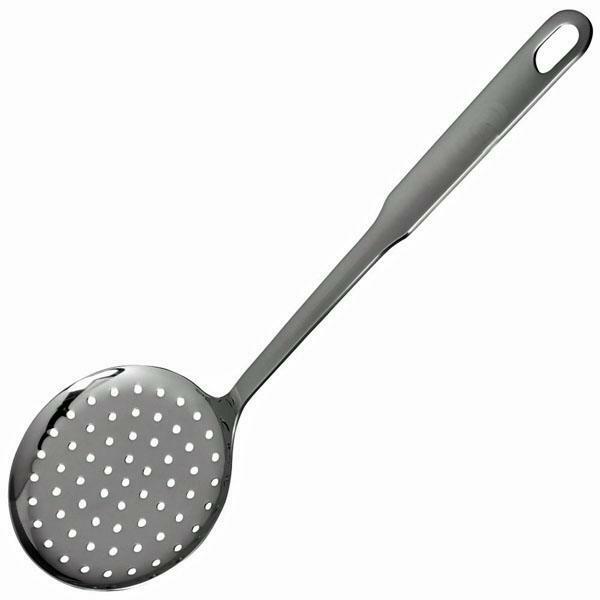 Remove using a slotted spoon and place on an absorbent paper. Cool. Beat yoghurt, salt, chilli powder and cumin powder together. It should be of custard consistency. If yoghurt is too thick, add a little milk or water to thin it. Add boondies and mix gently. Garnish with a sprinkle of chilli powder and ground cumin. You can also sprinkle a few chopped coriander leaves and chopped green chillies as a garnish. 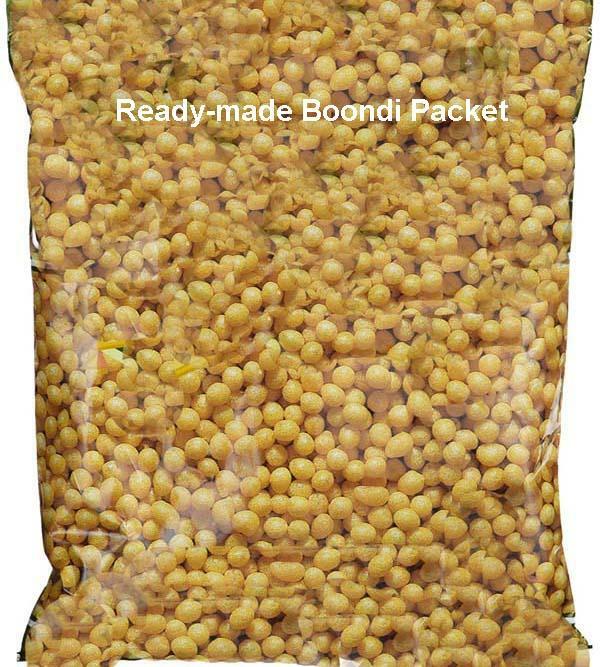 *You can buy boondies ready-made from Indian grocers. Surplus amount stays in freezer for quite a long time. **If you do not have a boondi spoon, you can make a boondi pot yourself; you need a small, plastic yoghurt pot for this. Heat a skewer and make holes into the base of the yoghurt pot. Wash with cold water. Now fill it with batter and allow boondies to drop directly into the oil. Keep it well above hot oil/flame during use, to avoid risk of fire. 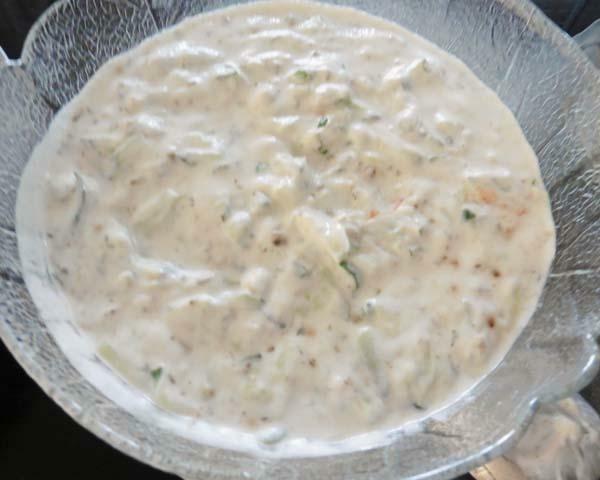 Raita can also be tempered tarka): Heat 1 tsp. oil in a ladle, add mustard seeds, 6-7 curry leaves and 2-3 small, whole red chillies. 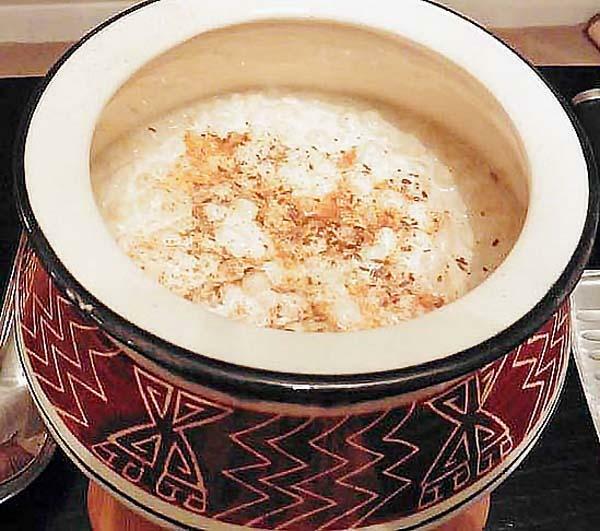 When seeds splutter, pour over the raita.